VMware Front Experience: A VMware Storage vMotion riddle - Can you solve it? A VMware Storage vMotion riddle - Can you solve it? Create and install some kind of Storage Appliance VM on an ESXi host (I used the free OpenFiler for it). Assign it a small system disk (e.g. 4 GB) and a larger data disk (e.g. 20 GB). 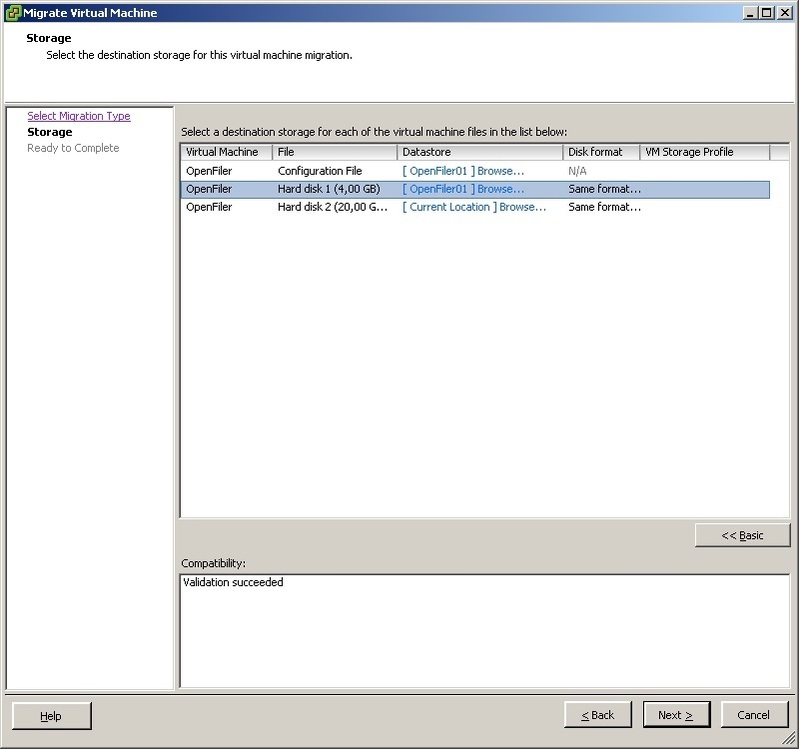 Export the data disk as an iSCSI target or NFS share and mount it on the ESXi host that runs the VM. If it's an iSCSI target then format it as a VMFS5 datastore (I used the name OpenFiler01 in my example). ??? What will happen ??? Now it's your turn! Prove that you have really understood the Storage vMotion process, take this very short multiple choice test and provide the correct answer! Or just make fun of it and pick the answer that you think is the most likely (or interesting). You can win no prizes other than an honorable mention here if you are able to explain this riddle. Of course I will later post an analysis of the quiz results and the correct answer. Until then please don't ask any questions or think loud here - I disabled comments for this post to not tempt anyone to spoil the party. Now go and take the quiz, and share this post so that we get some good representative results. Thanks!